EuekaAlert: Can chimpanzee vocalizations reveal the origins of human language? 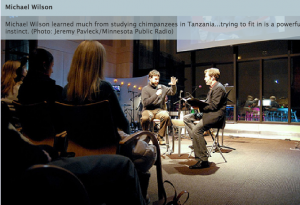 Science Daily: Can chimpanzee vocalizations reveal the origins of human language? AirTalk 89.3 KPCC Los Angeles: Could humans have inherited murderous tendencies? WCCO News: Good question: Why do we have finger and toe nails? WCCO News: Good question: Why do we kiss to show affection? Science: Why do chimps kill each other? Discovery News: Is War Inevitable? 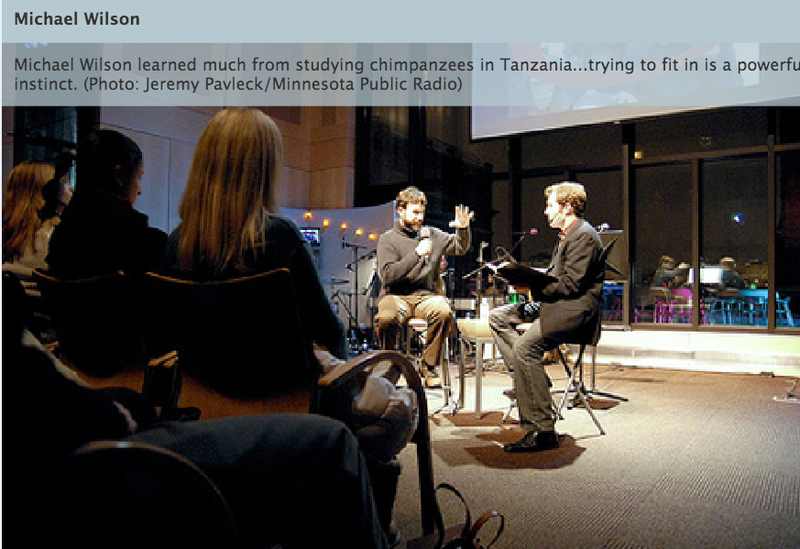 National Public Radio: Mourning in chimpanzees? The New York Times: About death, just like us or pretty much unaware?